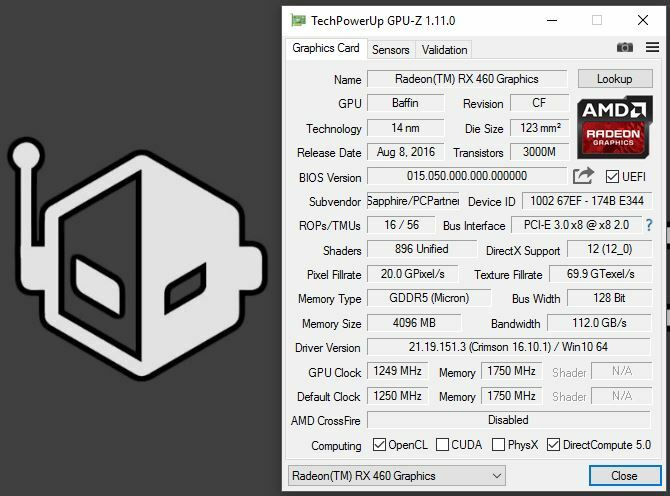 Before we get to the SAPPHIRE RX 460 Nitro OC it is important to take a moment and talk about the RX 460 itself and what it brings to the table. 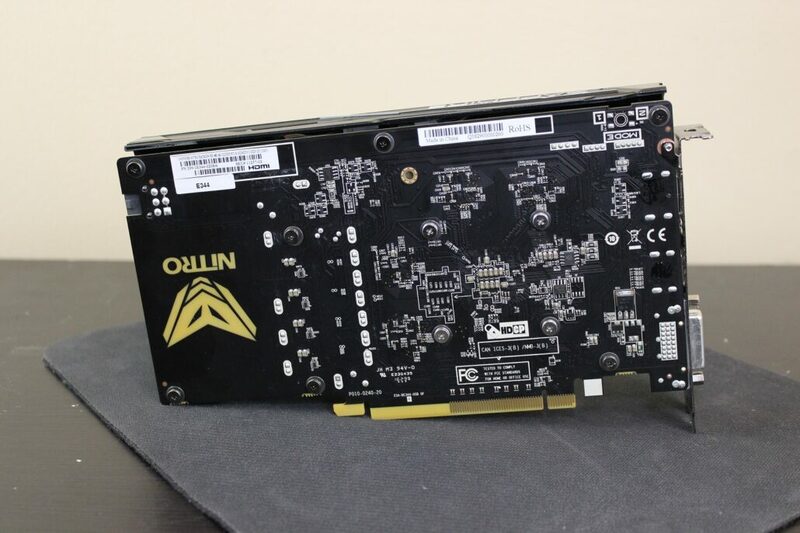 Starting at the core of the RX 460 is the Polaris 11 GPU which features 4th Generation GCN architecture and 14 Compute Units. These 14 CUs make up the total 896 Stream Processors operating at a reference base clock of 1090 MHz with a boost of 1200MHz producing a peak of 2.2TFLOPS of compute power. Memory is handled by a 128-bit bus powering along the memory at 112GB/s with no specified capacity, but we know it comes in 2GB or 4GB Flavors. All of this wrapped up in a sub 75w TDP allowing for a 6-pin free design package for e-sports delight. 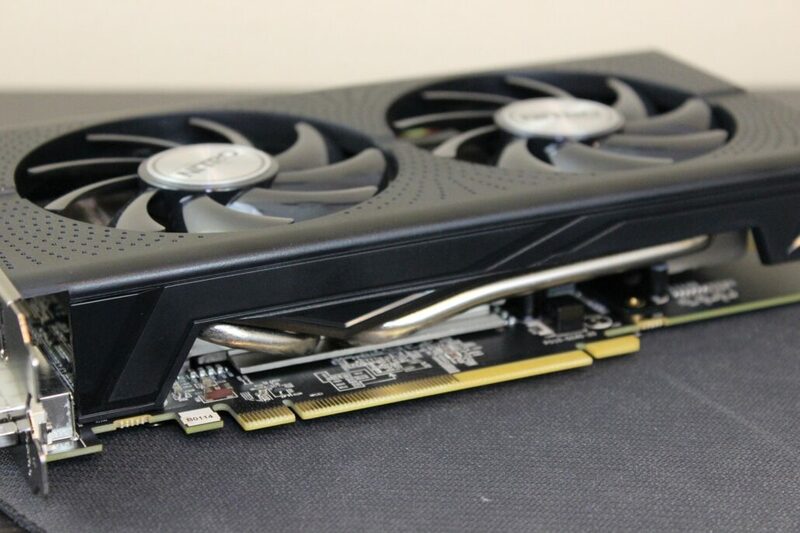 Now enter the SAPPHIRE RX 460 Nitro OC to give those specs a bit of a kick in the pants. Right off the bat the Nitro OC brings the base clock up to 1175 and the boost clock up to 1250MHz for improved performance out of the gate. The Nitro OC also packs in the larger frame buffer allowing for higher texture settings as well as being a bit more friendly to newer DX12/Vulkan titles as we’ve seen in the past that 2GB may be fine with CS:GO it just doesn’t seem to cut it with titles like DOOM and Gears of War 4. 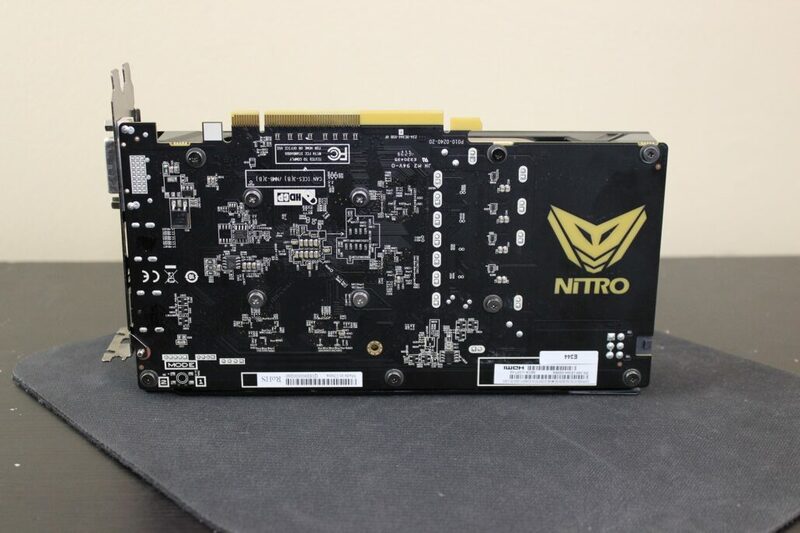 But those features come at a price; the Nitro OC is hovering at that 75w TDP limit and often passing it requiring the use of a 6-pin PCI-e power connector, which is fine for this card as you’ll see later on. With the addition of the 6-pin PCI-e power connector the Nitro OC is able to do what most other Polaris GPU based cards can’t, and that’s hold its boost clock for the entirety of any gaming session. This results in a higher sustained boost speed and the best possible gaming experience you can get out of the Polaris 11 GPU. The only downside is it does limit the overclocking potential as we were only ever able to squeeze an extra 75 MHz out of the core, but we were able to get the memory up by 225MHz. The problem with this class of graphics card going past the point they shipped it at doesn’t yield much benefit. 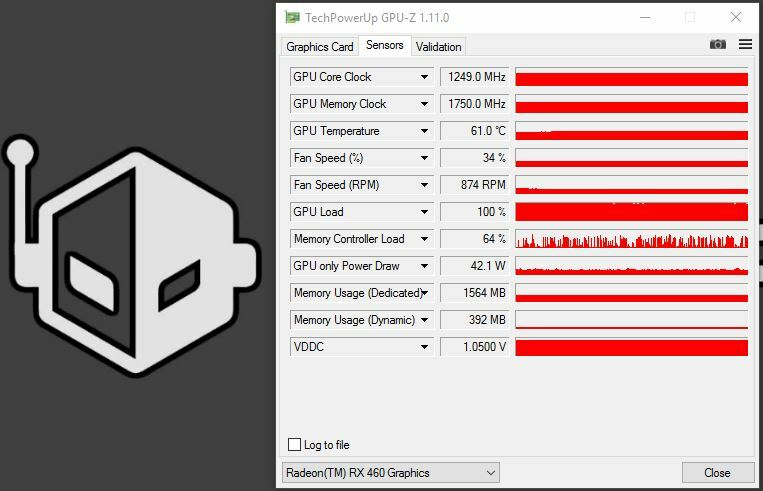 Undervolting however, that results in some interesting numbers we’ll talk about later. Let’s move on to the build of the card itself. The Nitro OC retains the reference I/O design with one DVI-D, one HDMI 2.0, and one DisplayPort 1.4. Things get a bit interesting for the Nitro OC when you start taking a look around the card. It’s big, like REALLY BIG for a card of this class and price point. The Nitro OC features a large plastic shroud that encompasses the entire card just like its more expensive brethren of the 470 and 480. The large 90mm fans features dual ball bearing design with some special features of their own including a 0db profile where the fans stay idle until the card passes 50C. They share the same Fan Safe and Fan Health Check system as the RX 470 and RX 480 allowing you to check the status of the fans to ensure there’s no problem. 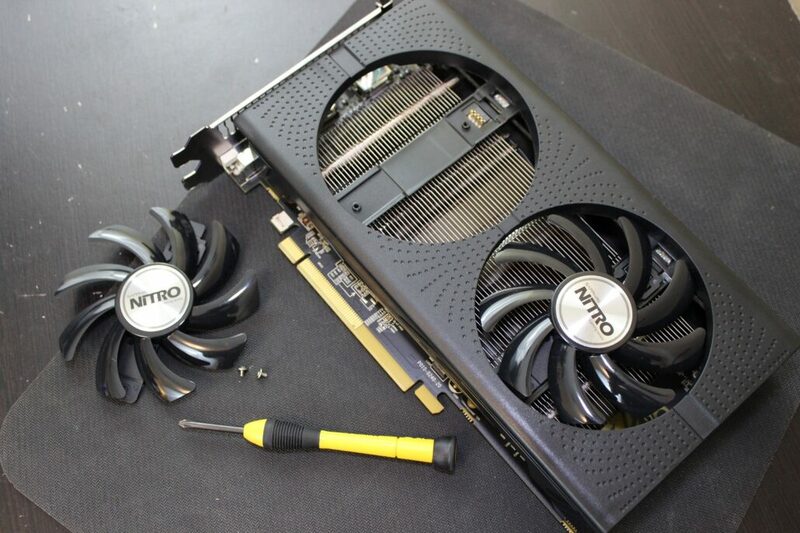 If there is an issue then it’s easy enough to handle since the Nitro OC also features the Fan Service and the SAPPHIRE Quick Connect System allowing for easy swap of the fans for replacement, or just for cleaning if needed. The Side of the card has less of a ‘gamer’ vibe and is left looking rather sophisticated and more expensive in appearance than its actual price tag suggests. 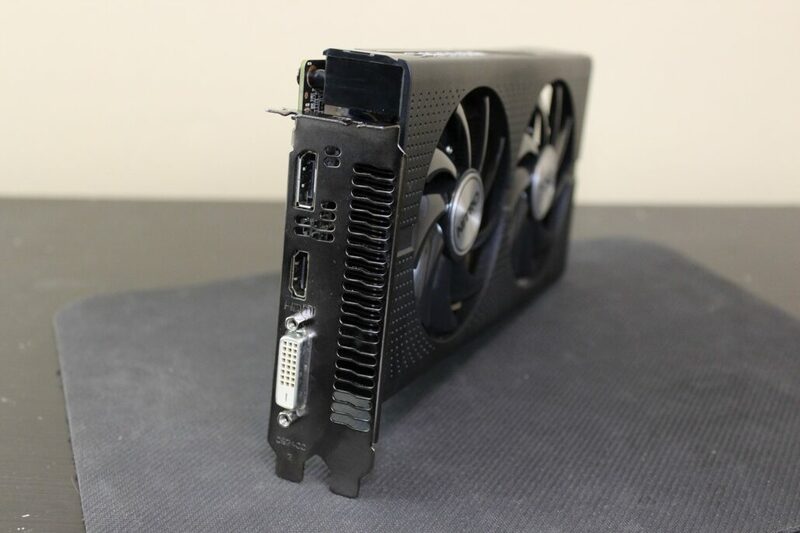 The back of the card is void of a backplate, which is perfectly acceptable at this price point, but does feature a Nitro design that is somewhat illuminated by Blue LEDs that look Green through the top of the PCB, but shine blue through the second fan on the other side of the graphics card. But, all of the features in the world mean nothing if the card can’t perform to its duties, so let’s get on to that oh so very important part of this. We used this system for our testing as the x99 test system was just entirely overkill. I know that an i5 6500 may be more CPU than required for these GPUs but without an i3 in the house this was as close as we could get. Testing methodology used for these tests were all done in game with the same segment run across both systems for three passes then the averages of each result was taken from that. For DX11 and Opengl we were able to use FRAPS to capture and report the Average Frame Rate, 1% minimums, and .1% minimums. For DX12 and Vulkan we used PresentMon and capture frames output from there. Still working out the output program to give us the 1% and .1% lows we’re reporting Average Frame Rate for DX12 and Vulkan as well as the accompanying frame rate output chart for visualization purposes. It’s important to note on those charts that the card that produces the less frames will be shorter in length on the graph as it’s showing frame rates over the time of frames output. Dota 2 was run at 1080p Maximum Detail Settings using DX11. CS:GO was run at 1080p Maximum Detail Settings and 2xMSAA. Overwatch was run at 1080p with manually set to High Detail Settings as different cards result in different preset setting. We did this to make it a fair comparison. GTA V was run at 1080p with all ‘High’ settings with no MSAA applied. DOOM was run at 1080p Medium Preset with no AA applied. RotTR was run at 1080p with the Medium Preset and no AA applied. DiRT Rally was run at 1080p with Medium Preset and no AA applied. DOOM with Vulkan was run at the same settings as the OpenGL counterpart at 1080p Medium Preset with no AA applied. RotTR with DX12 was run at the same settings as the DX11 run at 1080p Medium Preset with no AA applied. Gears of War 4 was run at 1080p with manually applied Medium settings. Just like with Overwatch, GoW4 is known to have different in game settings by preset based on the video card installed. Tiled resources were left on as well as Async Compute if available. At the end of our time with the RX 460 it has left us in a bit of an odd spot. It’s not the cards fault or SAPPHIRE’s for that matter. It’s the pricing as a whole. Before I state my final stand on the SAPPHIRE RX 460 Nitro OC I will say, if you have the money for the RX 470 get that instead. But, I know the reality of life is that you don’t always have that luxury. Recently helped a friend build a PC and he had a hard budget, meaning he simply couldn’t go over a certain price point and some concessions had to be made. That said, if you have a budget limit of $150 or even a bit less the SAPPHIRE RX 460 Nitro OC needs to be on your list of potentials. Even though it’s a bit higher at $139.99 vs the $109.99 MSRP of the reference RX 460, you’re getting a lot more of a card for the additional $30. You’re getting full uncompromising speed of the Polaris 11 architecture, double the VRAM at 4GB vs the 2GB, as well as a much more premium card. 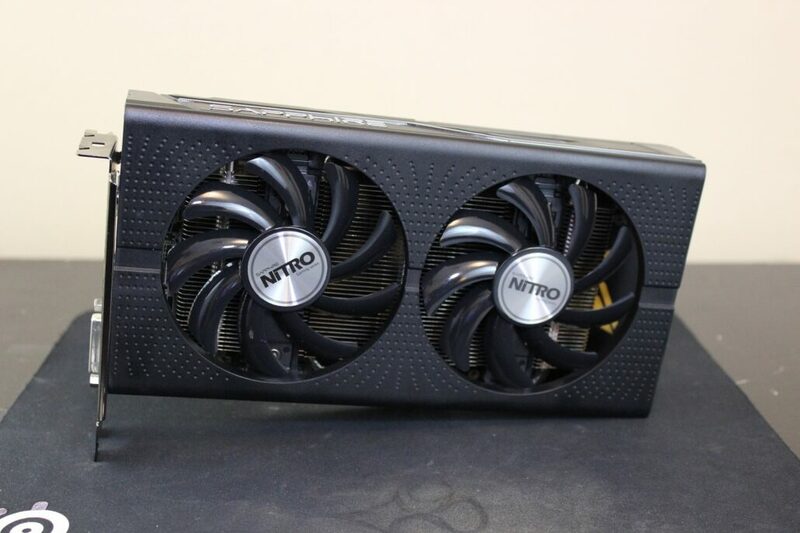 The SAPPHIRE Nitro OC faces some stiff competition as the GTX 950 has dropped to similar price levels, albeit still strangled by that 2GB frame buffer, and the impending launch of the GTX 1050 and 1050ti the competition may only get more fierce. But all of that aside, I feel that in the world of the RX 460s, the Nitro OC has done enough to justify its price and positioning. One last note to consider is that with this graphics card pairing up a low cost 1080p 75hz Freesync monitor for under $150 can deliver an exceptionally good gaming experience from Online Gaming to even the latest Triple-A titles. 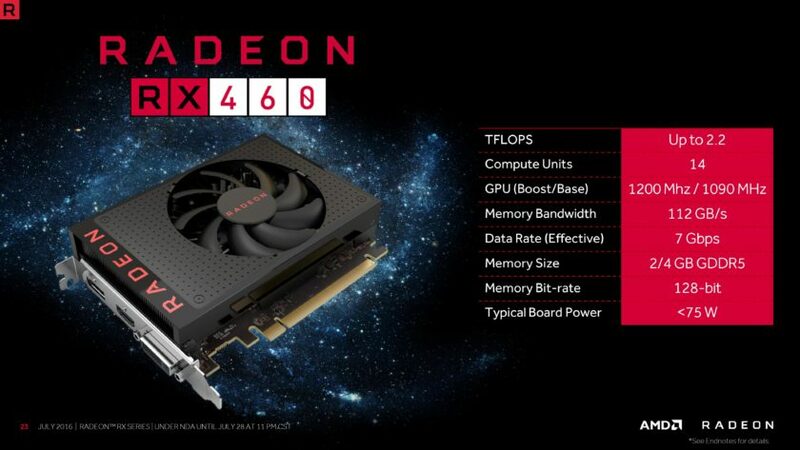 The top of the line RX 460 card outperforming the other cards in its class, but comes close in price to much faster cards. Great Design. Quiet Fans. Fan Service. Maintains boost clock. 4GB of VRAM. Handles AAA titles better than expected for a card aimed at E-Sports. Cost comes close in price to higher tier cards that outperform this class by a fair margin.